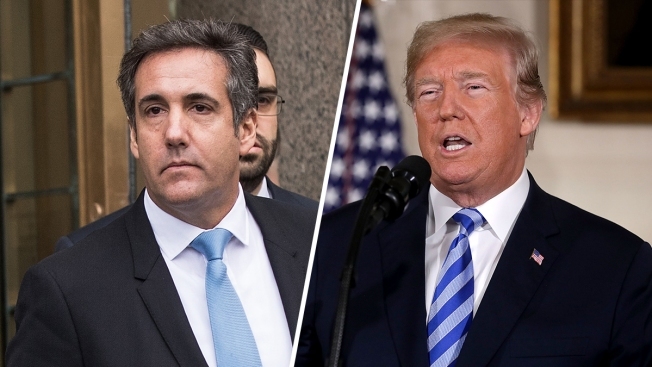 An official overseeing the protection of attorney-client privilege after New York raids targeting President Donald Trump's personal lawyer said Monday that a small fraction of 1 percent of the first batch of items to be analyzed is subject to the privilege. Court-appointed special master Barbara Jones said in a report to U.S. District Judge Kimba M. Wood that the analysis so far covers eight boxes of hard documents, two phones and an iPad. The report, though, covers a relatively small portion of about a dozen mobile telephones and 19 digital media storage devices, which include hard drives and thumb drives. Wood is presiding over a Manhattan court action brought by attorney Michael Cohen after April 9 raids on his home and office in what prosecutors described as a criminal probe involving his business interests. No charges have been filed. The analysis of roughly 3.7 million electronic files is being carried out by Jones and lawyers for Cohen, Trump and the Trump Organization, with prosecutors beginning to look at some of the materials once they have cleared the process. Wood last week set a June 15 deadline for the review to be completed. Afterward, she said, a special neutral "taint team" of prosecutors could make privilege determinations of any materials that remain to be reviewed. Jones, a former federal judge, said in a letter to the judge that only 14 items were deemed to be privileged or partially privileged after 639 items consisting of 12,545 pages were looked at from the eight boxes. She said she concluded that three items that had been designated as privileged by Cohen, Trump or the Trump Organization were not actually privileged. She said she agreed with attorneys for Cohen, Trump or the Trump Organization in finding that 148 items among 291,770 items found on two phones and an iPad were privileged or partially privileged. Another seven items were deemed highly personal, Jones added. It was unclear what, if any, conclusions could be drawn from the report. It already was understood that the boxes would likely contain older documents that would have been less likely to contain materials subject to the privilege. It also was unclear how many of the phones or digital devices relate directly to Cohen. For instance, lawyers revealed at a hearing last week that two phones that prosecutors have not yet been able to unlock were believed to have belonged to Cohen's wife. The raids on Cohen were triggered in part by a referral from special counsel Robert Mueller, who separately is looking into possible Russian interference in the 2016 U.S. presidential election.